Madigan made… a project for Mod Podge Rocks. I think by now, y’all know about my affinity for vintage floral handkerchiefs, vintage plates and botanical prints. Heck, I even covered a wall in vintage images and plates. Well, my love for this floral goodness doesn’t stop with my home décor. I recently decided to update one of my purses with some decoupage and a vintage floral bed sheet. It is the perfect accessory to carry around this summer! 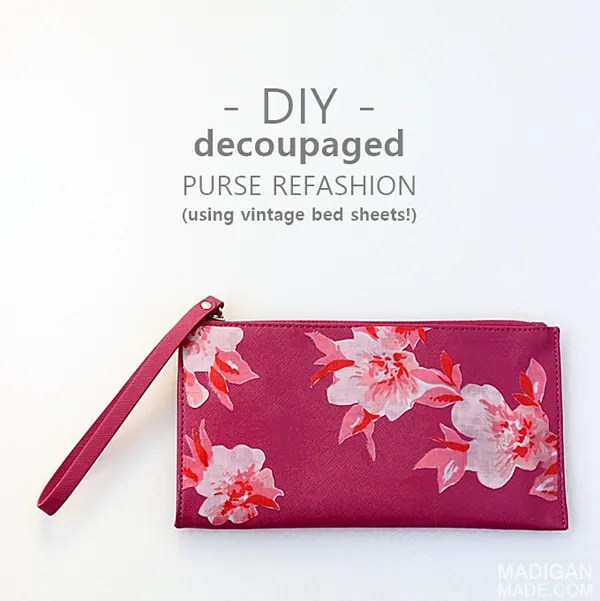 Join me this week over on MPR to see how to update a purse with vintage floral fabric.